Wow, what an amazing first year… Bailey of Sheffield isn’t even one year old yet, but we’ve experienced so much already! 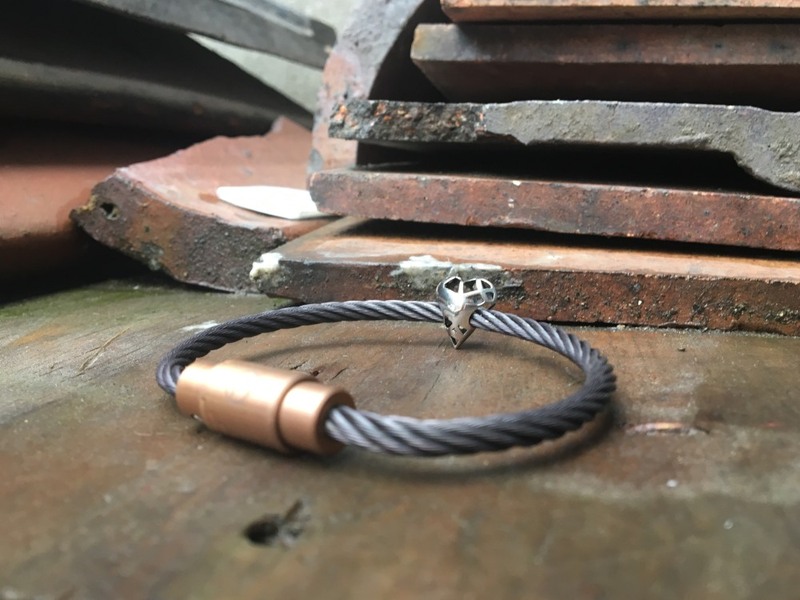 We launched our CABLE™ bracelet, beads and Pendant Convertor to the world via a 1 month long campaign on the crowdfunding platform Kickstarter on the 14th of April 2016. We ended up hitting our target (£15,000) in just 11 days and went on to achieve huge success with 246 backers from 11 countries around the world pledging a final total of £24,524. Talk about starting with a bang! The Kickstarter campaign certainly turned a few heads and we began to pick up some very lovely comments from various blogs and websites from around the world. The CABLE™ bracelet was a featured product on the amazing Yanko Design website in a cool gifts for Christmas feature. This then lead into an incredible festive period for us. We were absolutely flat out building bracelets and to be honest the level of success caught all of us by surprise! Lessons were most definitely learnt for Christmas 2017. One part of the festive season we are very proud of was venturing into the world of stainless steel Christmas decorations. In keeping with our company ethos we sourced everything locally, we partnered up with Outokumpu for the stainless steel and laser cutting and also had the engraving done in the city. We’re extremely happy to say you all seemed to think it was as much of a great product as we did, the decorations all sold out just before Christmas day! Moving into 2017 and we haven’t slowed down with pushing the innovative product design. We are fully partnered with both Sheffield Hallam University and Sheffield University, and are constantly developing new and exciting pieces, as well as fine tuning the ones we already have. Our Valentine’s Day tie-in bead range was developed and designed specifically with 3D printing in mind. It enabled us to come up with three designs so complicated that the usual machining techniques could not be used. The three different hearts in the range: BOLD, STRONG and GENTLE - were all producing using the latest 3D printing and laser sintering processes. We are now working on yet more bead designs, which will be launched in the next couple of months. We are REALLY excited for everyone to see what’s coming up! PVD colour beads is something we have been asked for many times, so they will be first up. Closely followed by two amazing new bead designs, one of them kinetic and the other involving some stunning colour options… That’s all we’ll say for now, but rest assured we think you’ll be very happy with what you see! We are also working with our colouring partners on developing new PVD colours for the CABLE™ bracelet, this will also lead to new combinations of PVD colours in what will be our first collection of Curated Sets. We will be launching ready made custom bracelets with mixtures of colours and finishes, a one stop easy purchase for those people looking for a mix of colours, stainless and finishes. We’ll also be launching some collaborations with some amazing designers too. Thanks for being a part of what has been a simply amazing first year for us here at Bailey of Sheffield. It’s a bit of a cliche but we just couldn’t have done it without you all! We’re so excited for what 2017 and beyond already looks like... the journey is just starting!